Grace Foundation complex is one of the most complete complexes of church buildings in Dorchester County. The Chapel of Ease (c. 1820) is significant as one of the few structures of its size and origin to survive. Its continued use as part of the complex is also rare. 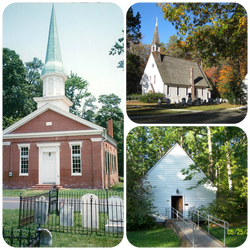 It served as part of the Dorchester Parish, which was one of the parishes of the Episcopal Church established in Maryland in 1692-1693.